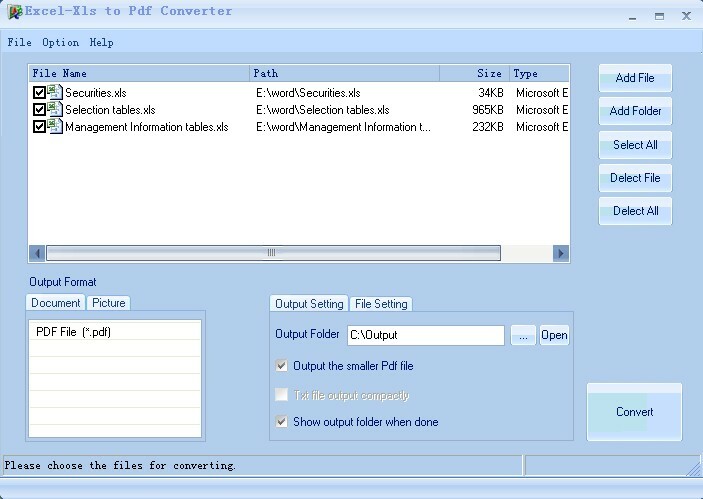 Excel/Xls to Pdf Converter is perfect for anyone .It is a convenient and easy converting documents to pdf tool, which can convert different document formats to pdf in batches once with the fast way. It can convert xls, xlsx, xlsm, txt, htm, html to pdf format. After converting, the content of the file can retain the original layout.No other software like it has the combining function. It can combine a host of sheets of one book to a sheet. The software has comparable price and is accepted by the individual and the collectivity.Free download it for a try now. Combine lots of sheets of one book to a sheet.